Voluntary licences are cited by some as the best way to facilitate access to medicines. Terms of the licences are important, many factors have to be taken into consideration, and the earlier the better, as explained by licencing experts at the World Intellectual Property Organization this week. The 29th session of the WIPO Standing Committee on the Law of Patents (SCP) met from 3-6 December. Licencing experts were invited to share their experiences on licencing agreement on a 4 December panel. Rosemary Wolson, senior intellectual property manager at the Council for Scientific and Industrial Research (CSIR) Licensing & Ventures, Pretoria, South Africa, presented the South African regulatory environment, and in particular the 2008 Publicly Financed Research and Development Act promoting technology transfer. The Act, she said, requires institutions to have a technology transfer function and a national IP management office to support tech transfer offices. A non-exclusive royalty-free licence can ensure freedom-to-operate for research organisations and at the same time allow another partner to take the reins in commercialising, she said. For public research organisations there is also the question of benefit-sharing, she said, such as when another party manages to commercialise the technology for profit, some of those profits can potentially flow back to the research organisation. In academic collaborations, joint IP is often seen as the fairest approach but can be challenging to manage, she said, However, inter-institutional agreements precisely defining roles, responsibilities and expectations of all parties “go a long way to ensuring that this happens smoothly,” she added. She also noted that in cases of cross-border collaborations, it is often necessary to accommodate different regulatory regimes. Partnering with the private sector is sometimes simpler, she remarked. Oussama Ben Fadhel, project manager in the Technology Transfer, Communication, Valuation and Technology Transfer Unit at the Pasteur Institute, Tunis, Tunisia, said R&D is a “big field” at the institute, including fields such as infectious diseases, venoms and toxins, genetic diseases, biotechnology, and clinical epidemiology and control. The Business Development and Technology Transfer Department of the Pasteur Institute in Paris is assisting the Tunis institute in IP rights management, such as patent filing and patent procedures, he said. The institute in Tunis developed a rabies vaccine for human use, he said, in collaboration with industrial partners, with the prospect of producing the vaccine in Tunisia. In case of joint inventions, “we have to be careful with the assignment of rights,” and “we have to negotiate the co-ownership and the agreement on patents since the beginning of the project,” he said. Colombia, which has universal health coverage, has been looking for ways to keep medicine prices in check, according to Ernesto Cavelier, partner at Posse Herrera Ruiz, Bogotá. Health is a fundamental right in Colombia, he said, and 76 percent of medicines are supplied by the government. Public policies are directed to reduce the government expenses in pharmaceutical products through price regulation and price control, centralised price negotiation, and the promotion of competition. The Colombian government also tried to reduce prices through compulsory licences but has not succeeded because courts rejected the government requests, Cavelier said. The option of voluntary licences seems promising, he said. Most medicines, either generics or originals, are currently licenced by large international companies to Colombian companies for marketing purposes, according to Cavelier. Most international pharmaceutical companies also have their own subsidiaries in Colombia and have licences in place which are “relatively simple licences,” designed for subsidiaries. It is clear that there is a lot of space for voluntary licencing, providing that Colombian companies can acquire the technology to manufacture medicines, he said. Dorian Immler, head of Patents Pharma, Animal Health & Consumer Health at Bayer, Leverkusen, Germany said licensing is a “great tool” to improve access to medicines. The challenges in licencing have not so much to do with patents, he said, but a lot to do with knowhow, because knowhow is not written down in most cases, but rather exists in people’s brains, and is inevitably created in the R&D process. “The patents that are so much discussed” are just a fraction of the total result of any pharmaceutical R&D work, he said. About 60 percent of current clinical candidates are partnered with Bayer inventions, he said, adding that partnering through licencing makes sure that any asset has the highest probability of being launched and resulting in medicines to patients. Licencing is an indispensable tool to optimise research efficiency and achieve technology diffusion, he said. He also added that long-term partnerships are an opportunity to build capacities through technology diffusion. Richard Jefferson, chief executive of, Cambia, and professor of Biological Innovation, Queensland University of Technology, Canberra, Australia, recounted the failed experience of BioForge, a collaborative platform to help create an open source toolkit to advance scientific problems. His wish however did not materialise. Jefferson sent a copy of his invention to laboratories around the world and it was rapidly used by Monsanto to genetically engineer soybeans, he said. “They became the dominant force” in agriculture biotechnology, he said. “It is not all my fault, but a little of it is my original sin,” he said. By 2007, the BioForge online facility had over 200 licencees to open patent licences and no public institution complied with licence terms, he said. In 2008, BioForge ended, with no significant improvement to commons, he added. The public sector infringes patents on a daily basis, according to Jefferson, “pretty much any patent that is useful … because there is no downside risk for them, no normative compliance requirement for them.” He called for a change in the incentive system for public sector entities and more transparency within the public sector. Licencing has to contemplate a common, he said, and has to contemplate a pre competitive ground work. “We would not have countless IT companies that are changing our lives without open source,” he said. Charles Gore, executive director of the Medicines Patent Pool (MPP), explained the process by which the MPP establishes licences. The MPP, after consulting internally on which medicines should be priorities, approaches patent holders to convince them to licence their medicines in a particular geographical area, he explained. Very often, patent holders “want their great medicines” to get to as many people as possible, he said. The negotiation process is guided by public health needs, said Gore, who added that MPP licences enable the MPP to sub-licence non-exclusively to multiple manufacturers to facilitate competition and price reduction. The licences also allow for further innovation, he added. Since MPP licences are negotiated early in the life cycle of the product and the MPP has a proactive licence management, the time to market of medicines is shorter. For example, from the approval of HIV medicines to generic competition took some 7-8 years prior to the MPP and 3-4 years after the establishment of the MPP. 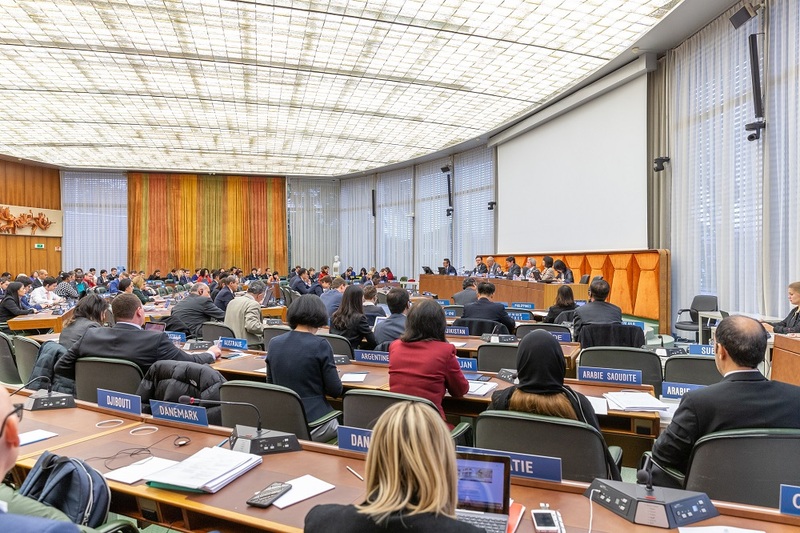 "Licensing Experts Share Experiences At WIPO" by Intellectual Property Watch is licensed under a Creative Commons Attribution-NonCommercial-ShareAlike 4.0 International License.